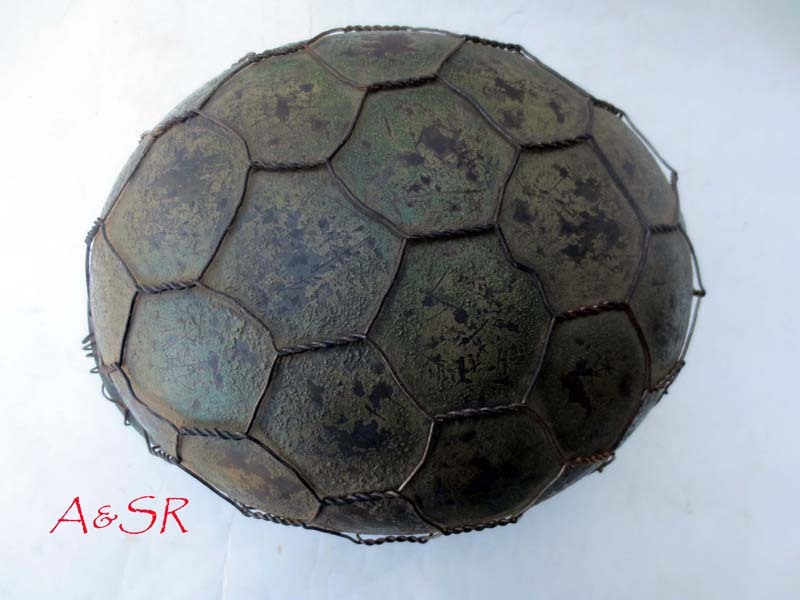 M35 Heer Two color Italian front camo with full chickenwire basket. 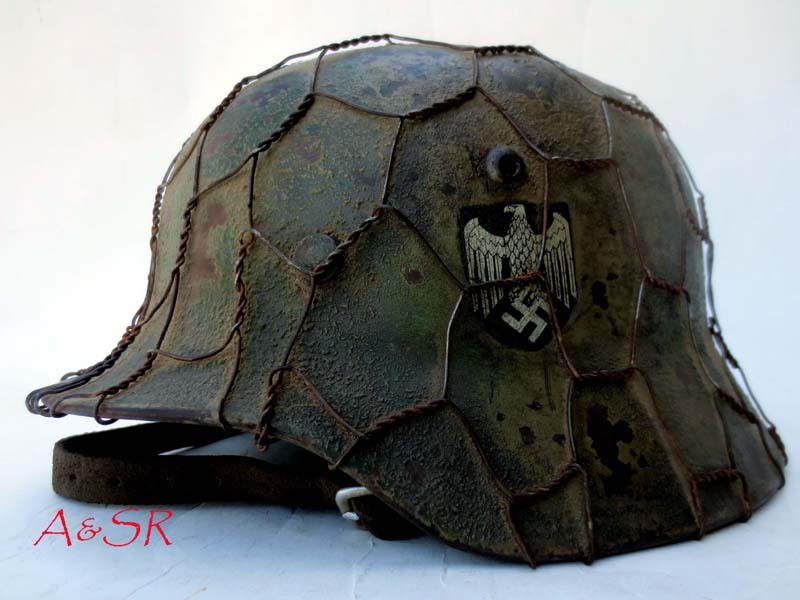 This original German M35 helmet is Q66 marked indicating it was made by Quist. 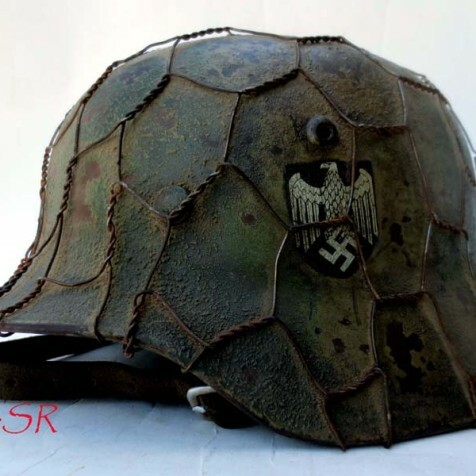 The lot number indicates this helmet was made in 1939. 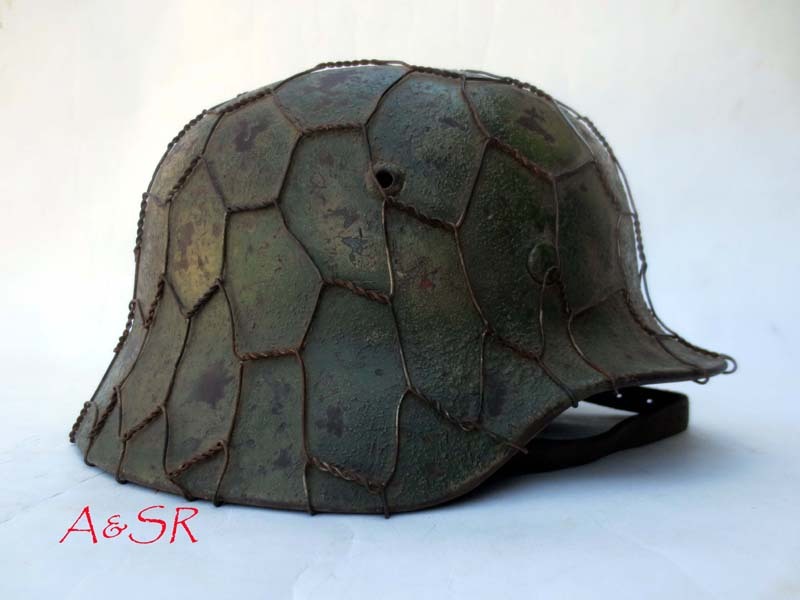 The helmet has been restored to look as if it saw heavy service on the Italian front. The shell was stripped of post-war paint and repainted the correct shade of apple green. A 1939 Quist inspector’s ink stamp was applied inside the dome. A Quist “Big foot” Heer dry transfer decal and national colors decal was then affixed. The helmet was then over sprayed with a coat of tan and grass green camouflage paint. The wet paint was sprinkled with wood chips to flatted then finish as is often seen on original examples. Per regulation the national colors decal was paint over, but it can be seen though chips in the paint. A zinc-plated 6-twist hand woven chicken-wire basket has been affixed to the helmet. 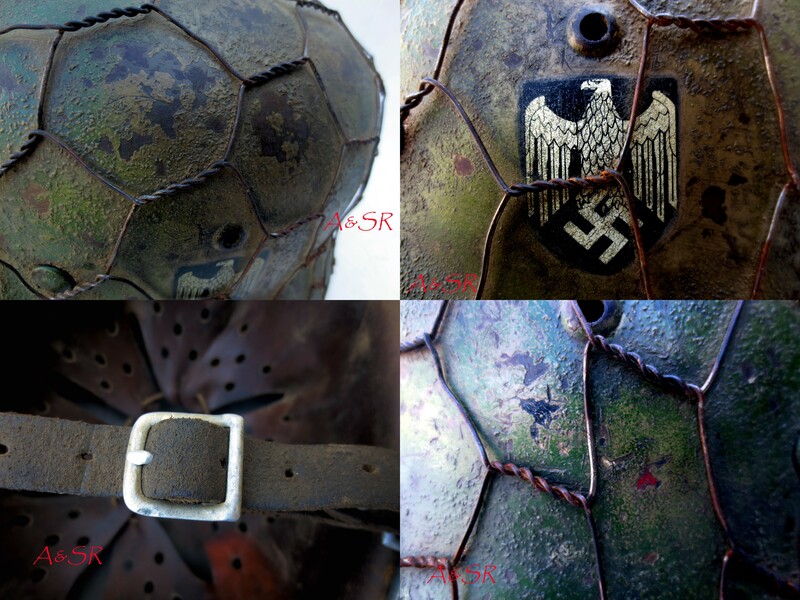 The helmet was then heavily aged to give it the look and feel of an original vet bring back. The exposed steel has a nice deep plumb patina, the zinc wire has dulled with age. The zinc has also reacted with the paint causing the wire to “ghost” the finish. There is also considerable dust build up between the liner band and under the wire. 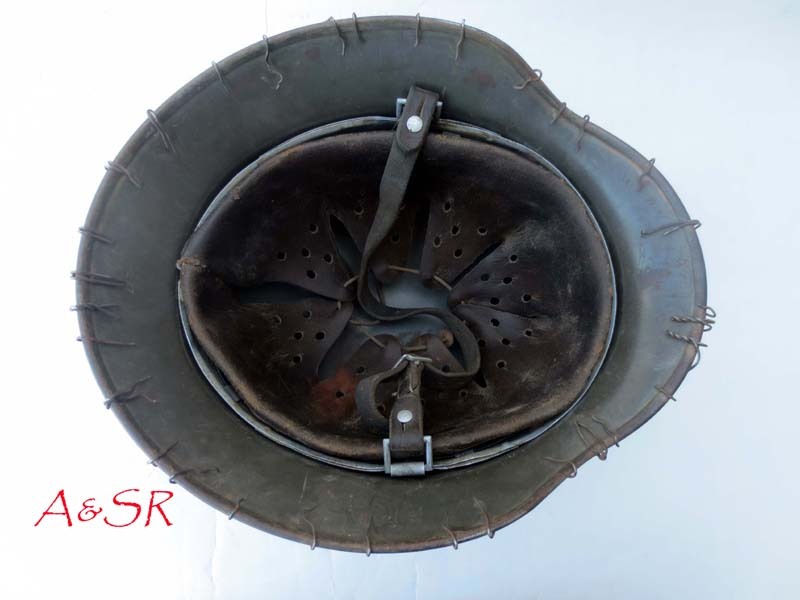 The helmet’s liner is secured with the correct pre-war brass split pins and slotted washers. The liner frame is original and is dated 1939 and was made by Werner Zahn. The leather is new, but has all the correct details that would be found on original Werner Zahn leather, including the correct ink size stamp on the back of the leather, and on the finger. The leather is backed with an original wool felt pad.